Yarock is rocking me for a while. However, I like variety and was quite happy to find Lollypop, a fresh music player for the GNOME desktop environment. It’s still under development but can be tried out for testing. Lollypop is written in gtk3 and python. Plays mp3/4, ogg and flac. Yarock is an online radio and local music player written in Qt with Phonon multimedia framework in the backend. It can stream online radio services like Shoutcast or TuneIn to play the music of your choice. In addition, it has far less dependencies than Tomahawk. Yarock has a clean interface with music collection browser based on cover art. Have you ever wanted to listen to a song badly only to find out that it is not on your hard disk? Tomahawk is a powerful music player that can fetch the best quality audio for the song you search and play it for you. It looks up a number of web services to find the music. It can play audio files on your device too. Tomahawk uses Qt project’s Phonon multimedia framework to play music. 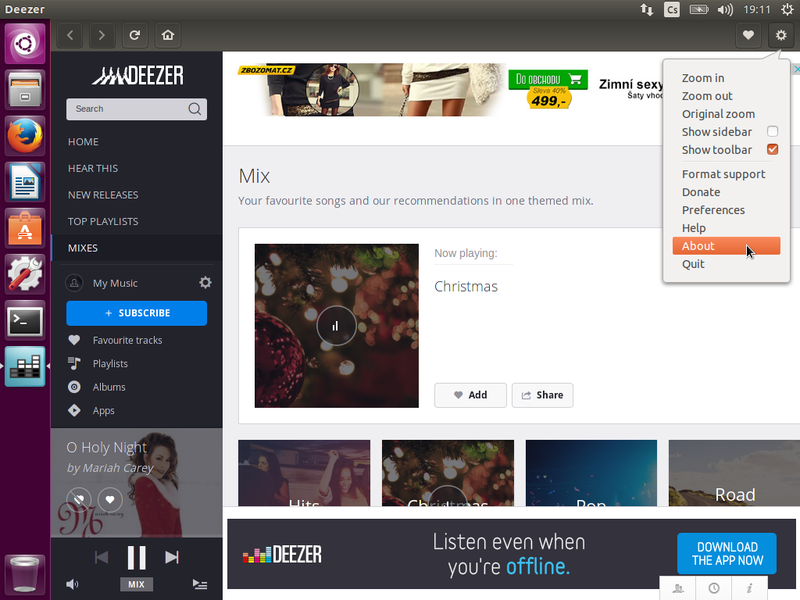 It’s also a social music player where you can discover what your friends are tuned to. Multiplatform. Supports Linux, Windows, mac and Android. Note that Tomahawk has a overwhelming number of dependencies, a drawback in my opinion. Supports: Linux, Linux ARM (Raspberry Pi), Windows & MacOS Intel. Windows support is limited. The second instruction installs the Qt version.